Behold! 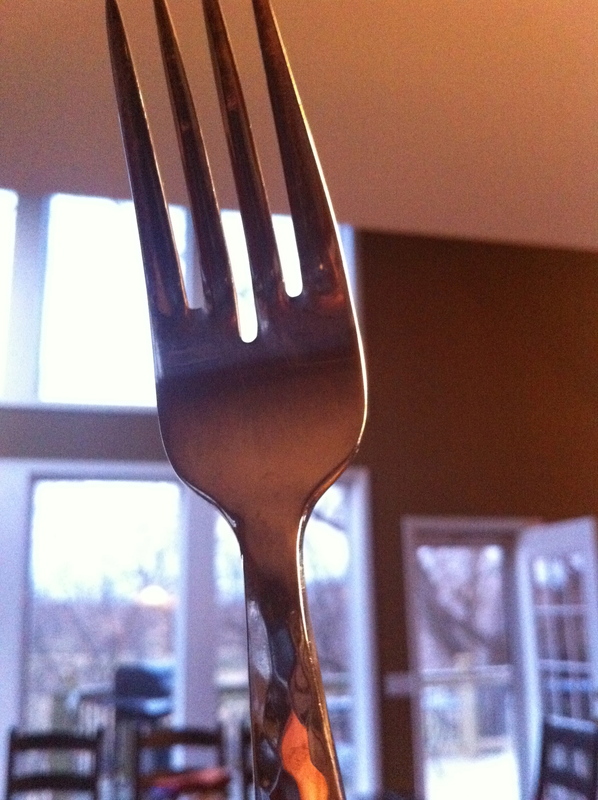 The Mighty Fork! It is a benevolent fork, so fear not. It is not evil like its silverware drawer nemesis The Butter Knife. We fear The Butter Knife.